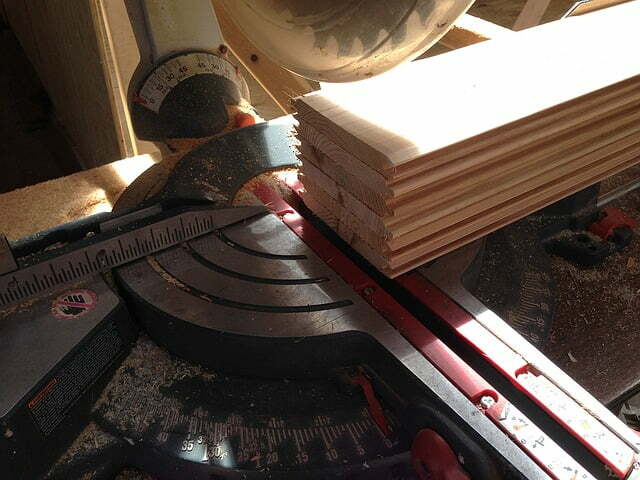 Did you know a great miter saw can decrease your labor and increase the productivity by many times? But finding the best one is always tough. If you’re looking for the best miter saw and feel confused to choose, then we are here to help you. We have tested many saws and compared them. Is the saw able to cut 6x6? How many included saw teeth comes with it? Is there a blade break in it? The Hitachi C12HRS2 is the upgraded version of Hitachi C12HRS. The C12HRS was a successful and great miter saw that was the first choice of all workers. After the successful period of C12HRS, the manufacturer brought the C12HRS2 which is upgraded, more features based, more workable and better appearance. After launching the saw, it took a very short time to be the first choice. This one is a powerful 15 AMP based dual bevel miter saw. The compact slide system of the saw allows the saw head to slide, along with the fixed rails in order to zero clearance. And the most workable feature of the saw is the laser marker. The marker helps a lot to cut accurately along with ease. The large sliding fence of the saw is able to raise the fence height to 5-1/8" to cut up to 7-1/2" in molding vertically. 0-45 degree bevel angle range allows the user to flip the saw blade easily and quickly. At the same time, it also allows to leave the material in place with the right and left blade range. The saw has 0-57 degree miter angle at the right and 0-45 degree at the left for better flexibility. The positive stop is another useful feature. This one helps to easily read the measurement and quick settings along with the indicator on the miter and bevel scale. The handle of the saw is vertical and coated with soft and vibration reducing elastomer grip. It presents you a great control as well as comfort. The saw uses 12 inches 60T TCT saw blade for better accuracy. The compact slide system of the saw decreases the footprint which is very valuable to any shop environment. While other saw need rear clearance, the C12HRS2 offers you a zero clearance for better result. You get a including dust bag with the saw so that you can carry the saw with you and keep it safe while leaving idle. The Hitachi C12RSH and the Hitachi C12RSH2 are from same manufacturer. Though they are different models, but generally they are same as well. The C12RSH2 is nothing but the upgraded model of the C12RSH. The C12RSH was one of the successful miter saw from Hitachi. But it had some limitations. So the Hitachi started to make a machine with better performance. As a result, the C12RSH2 is here. So, if we want to compare these two machines, the C12HRS2 will be definitely the winner. The C12HRS is the root of the C12HRS2, and it came with better performance than the previous C12HRS model. It’s the best idea to get the C12HRS2 instead of C12HRS. To get the continuous smooth performance from your saw, you need to follow some tips. Here are some maintenance tips, if you follow them, you will get the best performance from the saw for longer period. The first step is to clean the miter saw from dust and debris. You can use vacuum cleaner to do it. Pay more attention and ensure that no dust left on the saw surface. After cleaning the saw, now look at the fence and the saw cutting table. Many people think it’s unnecessary but believe me; only cleaning the tools isn’t enough. Clean the table, cutting surface and especially the place of caked particles. Clean it properly. Now, this is time to clean the blade and sharpen it. The blades is the most important as it has the main work to do. The performance and the functions of the tools depend on this blade. The sharper blade cuts more accurately and smoothly. First of all, remove all debris from the blade. After that, use brush clean the teeth (Don’t forget to use thick work gloves). Now, apply some cutting oil on the blade surface. If you notice the blade has been blunt, then sharpen the blade by using the right sharpening tools. Now, it’s time to clean the exterior moving parts. Overlook on them and apply right lubricant on those. The lubricant helps to enhance the longevity of them and reduces friction. You can find the recommended lubricant type in the user manual. After cleaning the all parts, it’s time to check the power cord, kert board and brushes. Replace them if you notice and damage on them. Yes, it is. But it has a 12 inches blade so you need to flip the board if you want to cut 6x6. But don’t worry, it is not a problem because the laser will let you to cut as you desire. The included blade of the saw has 32 teeth rip blade. But if you need 40-80 teeth then you have to buy it. Remember that any blade of 12 inches with the same arbor will fit in it. Yes, there is blade break. 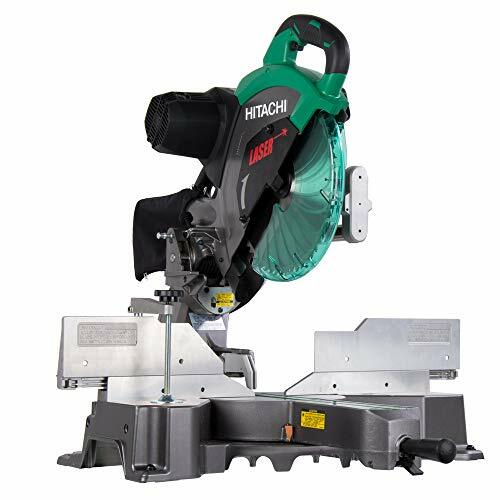 The Hitachi C12RSH2 is really an awesome and user friendly miter saw. This one is highly able to add great value to your workshop. However, this one can be the best partner to you at your workplace. Basically the C12HRS2 is worth of your money. Almost every users found this very valuable and user friendly. So, why confused? Rush now!